The 55mm Virginia Cavaliers watch by the College Watch Co. is a must have collector's item for super fans, alumni, and graduates alike. Prominently displaying the famous Cavaliers logo, this watch exudes Virginia pride. 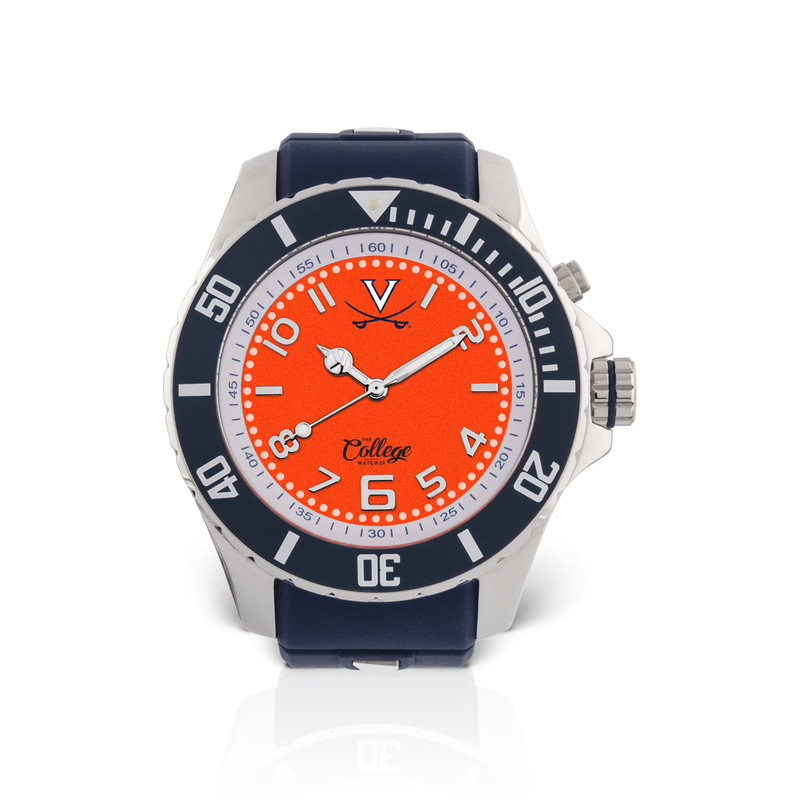 Features include true-match school colors, College Watch Co. collector's box, LED light illumination and luminous hands.